We're trying something new at work - using the iPad as much as possible for day-to-day project management tasks. The goal is to use it pretty much for everything except for the actual coding. We'll see how it goes! Soon I'll post about the apps we've decided to use, along with some other tools that are handy. But in the meantime, post about your favorite business apps for the iPad! 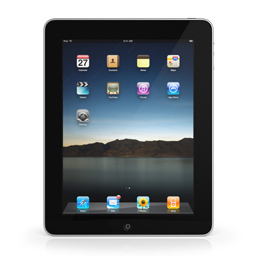 Currently there are not too much applications dedicated for the iPad. In a year from now, we'll be able to manage our projects on the ipad, maybe? I think it depends on what type of project you're running and what tools you need. About 2-3 weeks ago, I felt the same way as you but since then I've come across some very useful apps. I'll be posting about them soon.